(BPT) – When you come home from work, he’s always there to greet you. When you need extra motivation to work out, he’s happy to join for a walk. When you’ve had a bad day, he can sense it and is quick to give you a loving nuzzle. Pets provide endless joy to their families, but for millions of shelter animals, each day is a test of patience in hopes of finding a forever home. Volunteers are the lifeblood of any shelter, and it’s a true community effort to keep animals healthy and safe. The Dumb Friends League — Denver’s largest animal shelter dedicated to giving a voice to those who cannot speak for themselves — depended on 1,418 volunteers who donated 211,307 hours of service last fiscal year to help needy animals in Colorado. That’s the equivalent of 101 full-time employees worth $4.7 million in donated time. 7.6 million pets enter shelters each year. Find out how you can volunteer and make a difference. In addition to volunteers, support from a variety of businesses and corporations helps keep shelters running strong. Hill’s Pet Nutrition, for example, is one of the largest donors of food to shelters across the country. In fact, Hill’s Food, Shelter & Love® program has provided more than $280 million worth of food to more than 1,000 shelters since its inception in 2002. 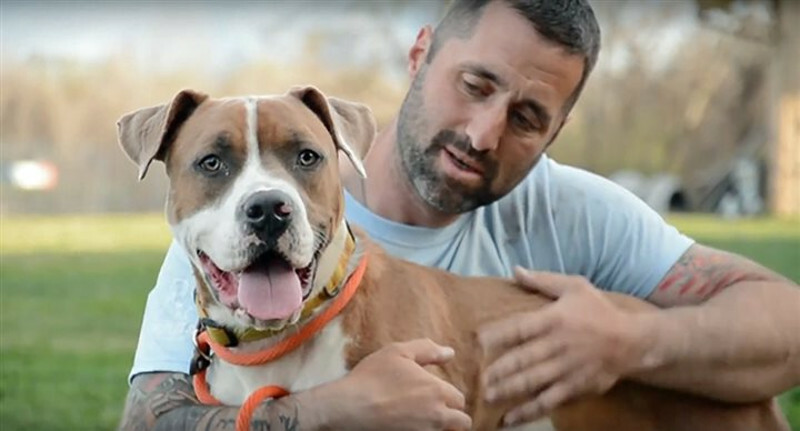 Both volunteers and Hill’s share the common goal of transforming the lives of homeless pets. To recognize the vital contribution of shelter volunteers, Hill’s has launched an initiative this year to bring volunteers long overdue recognition. Hill’s has created a contest, Hill’s Shelter Heroes, to recognize the amazing volunteers who continue to go above and beyond in their commitment to shelter pets. One of the recent winners, Annie Hughes with Wayside Waifs in Kansas City, who has dedicated more than 7,279 hours to her shelter, wanted to express her appreciation to Hill’s for creating a program that “allowed her to share her passion for helping sheltered animals.” Hughes’ submission, along with the rest of the 10 finalists, can be seen at Hill’s Shelter Hero Contest page. It’s apparent that caring for shelter animals is a group effort, yet one person can make a big difference to help save lives. If you want to change the world for animals in need, here are some tips for becoming a volunteer. Reach out to local shelters. Call your local animal shelter or rescue group to see if they are accepting volunteers. Think about your interests and skills. Caring for animals one-on-one is a popular shelter activity, but there are so many more opportunities for volunteers. Whether you’re able to foster in your home, offer professional skills in administration departments, or serve as an adoption counselor to new pet parents, volunteer options are truly endless. Spread the love. Once you find your volunteer home, spread the love to help pets find homes and encourage friends to volunteer. By sharing posts on social media like the #HillsShelterHeroes contest, hosting fundraising events, and simply bragging about that adorable new pooch to your friends, you’re helping to open everyone’s eyes to the growing need for volunteers at shelters and the importance of pet adoption. I always had pet dogs growing up . And they really do make a world of a difference in our lives. Their love and presence gives us a different level of healing and fulfillment. All our dogs are rescue dogs and at one time we had 14 foster animals (2 sets of pups.) It is a very rewarding experience and knowing you helped save an animals life means so much. What a great post for an animal lover like me to read. I have had rescue animals my whole life. i tweeted, too! That is so awesome to read. I love dogs in particular and it is awesome to see people genuinely volunteer to take care of these animals. Volunteering is a great way to help shelter animals even if you can’t adopt. You can help keep them comfortable and let them know they matter, and I think that’s an amazing opportunity. We always try to find a rescued animal first. We have a cat rescue close to us where both myself and my sister have got kittens from in the past. I think it is important that we look to rescued animals to help provide them with the homes they deserve. This is very nice, I admire people who do volunteer work in animal shelters and even those who foster rescue dogs or strays. A shelter can only do so much and they need all the help that they can get. I love animals! I used to volunteer at a horse rescue and I LOVED it! I think anyone that loves animal should do this! I’ve always wanted to volunteer with an animal shelter. I love being around animals, and it would be nice to bring some companionship to shelter pets. It’s amazing that so many volunteers use their time to help animals! I think kids, students and adults should consider volunteering like this! My daughter used to volunteer at our local animal shelter. She said she learned so much and gained a healthy respect for the lives of pets. I was thinking about why dogs have a larger ratio compared to cats in shelters then it hit me, I was asking the wrong question. I respect Hill’s for being a loud name when it comes helping pets, animals, owners and would be’s alike. Pets are great companions, especially dogs. If you treat them well, they will give the love back. I would love to have another dog in our home. It is nice to know that there are many people who have hearts for pets. It is so wonderful to have pets at home, they are adorable. I always suggest people to adopt pets instead of buying them. People prefer high class breed to spruce up their social status, which is an incorrect way of showing certain things. Instead, people should show the world how much they care about shelter animals. Our pets Give us lots of unconditional love and attention, and Volunteers at animal shelters do do a stellar job of giving back! Awesome Post! I’ve been wanting to volunteer for my local shelter. I am a photographer and I thought if I took some cute photos of the dogs then they would be more likely to get adopted! I love this! I’m such a huge animal lover. I do anything I can to help out. I often go to the shelter just to visit with the animals as well. It’s always a lot of fun. Volunteers really do amazing work for places like animal shelters. I am so glad there are opportunities for people to help an give back like this.